Global Travel Media » Blog Archive » Just how likely are you to be attacked in the sea? Just how likely are you to be attacked in the sea? “Just when you thought it was safe to go back in the water…” That quote, from one of the Jaws sequels, seems appropriate as a spate of unsettling aquatic incidents follows a couple of major Aussie shark attacks – so how safe is the water really? A man died at the weekend after a stingray attack near Hobart. The 42-year-old suffered a heart attack when a stingray apparently struck him on his lower abdomen. While rare, the stingray attack is reminiscent of the death of Australian conservationist and “Crocodile Hunter” Steve Irwin, fatally inured in 2006 when a stingray’s serrated barb pierced his heart while filming off the Great Barrier Reef. Also in the weekend, at the other end of Australia, a teenager was severely injured after a shark attacked him while he was spearfishing off the Arnhem Land coast in Australia’s far north. Friends stemmed the bleeding before paramedics arrived, saving the 17-year-old’s life, doctors said. He arrived in Darwin in a stable condition on Sunday afternoon. A 24-year-old surfing student from Sydney was bitten by a shark on the calf and hand at Seven Mile Beach in Gerroa, south of Kiama on the NSW South Coast on Saturday, while wading in waist-deep water with about 40 other surfing students. He suffered non-life threatening puncture wounds and deep lacerations and was later reported in hospital in a stable condition. Kayaker Kyle Roberts was paddling about a kilometre off Moffat Beach on Queensland’s Sunshine Coast last week when a tiger shark attacked without warning, knocking him into the air. Roberts managed to get back on his kayak and clung on grimly while the shark kept circling. He was rescued unhurt. Despite all that, Australian waters are reckoned to be profoundly safe. 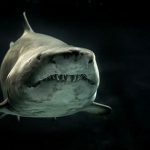 According to statistics from Casino.org (which studies odds worldwide), as published by the Fraser Coast Chronicle, the odds of being attacked by a shark in Australia are one in 2,704,600. For comparison, the odds of winning Oz Lotto outright, taking Division 1 with seven winning numbers from playing just one game, are one in 45,379,620. So you are more likely to be attacked by a shark – but still very unlikely! Humans are vastly more at risk of dying from flu – at one in 63. Australia is the most likely country in which to be killed by a shark, according to Casino.org. 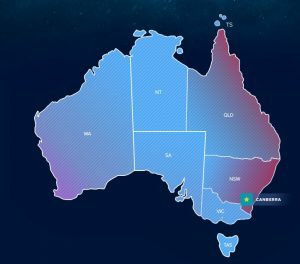 When Australia is broken down by area, the Torres Strait comes in at number one, followed by the Northern Territory; then Queensland, which has had 221 attacks since 1900, and New South Wales with 331. The Casino.org data also showed that 93% of all shark attacks worldwide have been on males. Statistically, you are far more likely to die taking a selfie.